Uma- you just want to shrink her down and carry her around in your pocket. She’s adorable and bubbly and she was a lot of fun to photograph. We started off at Sunset High School where she showed me some cheerleading moves. 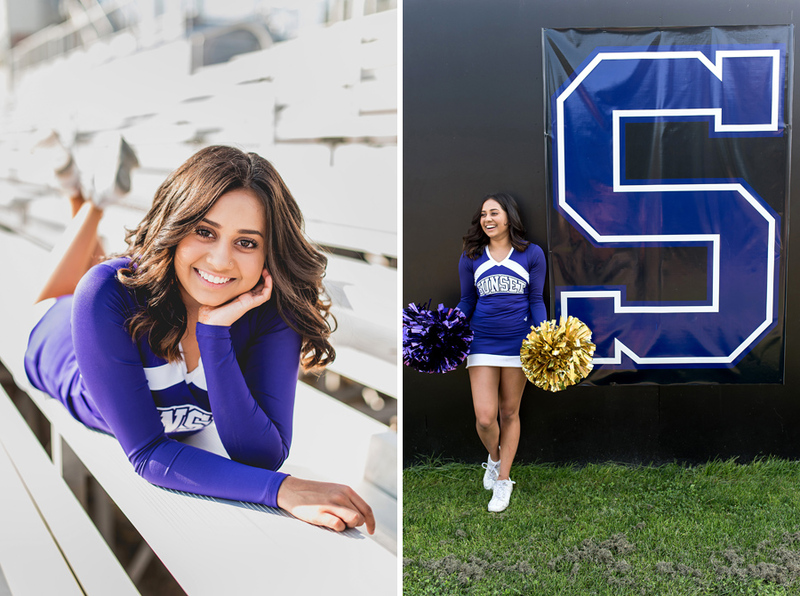 Uma is looking forward to her final, senior year on the Sunset cheer team. Our next stop was Orchard Park where Uma wore her Sari. This beautiful Indian dress was a gift from her grandfather and she can’t wait to share the photos with him. (And I was loving that golden sunset light!) Our last stop was the countryside- we found some dirt roads and a very inquisitive horse who wanted his photo taken too! 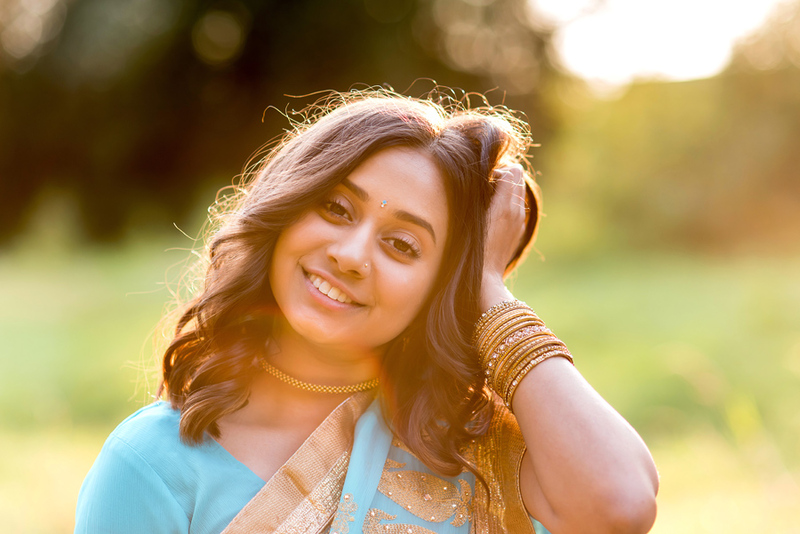 Uma was a natural and was a blast to photograph! Miss Uma is planning on going to a four-year University after she graduates. She wants to study global law/business and become a corporate lawyer. She’s ambitious and very intelligent and I have no doubt that she will do amazing things. Uma- It was so much fun getting to know you and driving around chatting about all sorts of topics. I wish you the best of luck with your senior year and all your exciting plans after you graduate. I hope you enjoy the photos!